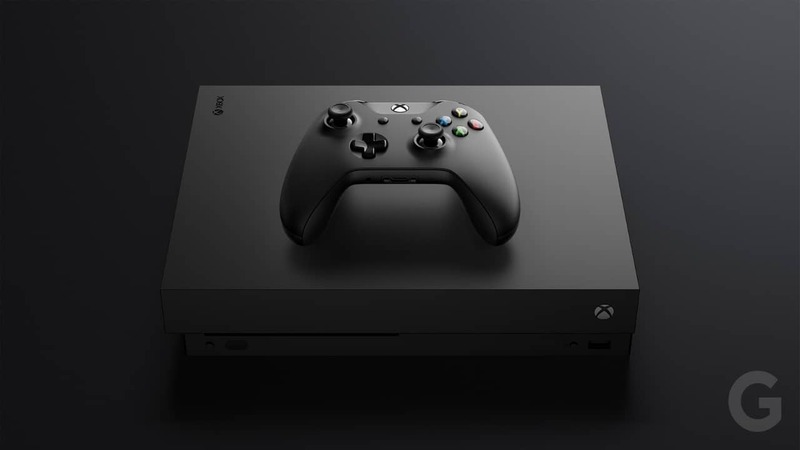 Microsoft unveiled the Xbox One X, an upgraded version of the Xbox One. Ever since its release, it was tipped to be the best and the most powerful gaming console ever made till then. We can say that the Xbox One X has done justice to that speculation. It is the most powerful gaming console one can buy as of now. The Xbox One X has truly improved the gaming experience. The differences are not so huge that you can’t live without them but still, the games look and run better. The One X is currently the best console for most multi-platform games. The One X has its own limitations, in X you can play games in native 4K while the S only does upscale 4K, it does it so well that you might not even be able to notice a difference between the two. However, there’s a massive difference it both of their prices of around $200. 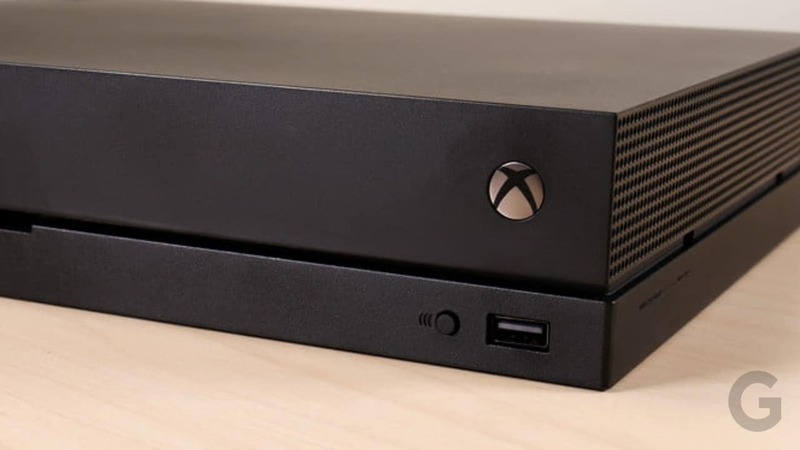 The One X imposes a premium tax on a system that’s only marginally better in most ways than the One S. You can find out more about the One X’s design, features, specifications, controller, performance, price range and more in the Xbox One X Review and Specifications. It improves performance in some games. It improves the 1080p experience. It improves performance for all games. It has a 4K UHD Blu-Ray player. It has brilliant 4K visuals. It has a sleek design and is very easy to use. Its 1TB HDD fills up very fast. It has a skewed price-performance ratio. Its quality of graphics enhancements varies game by game. It is small and has a slow hard disk. It is relatively highly priced. The Xbox One X is currently the most powerful gaming console you can buy. Microsoft unveiled the latest addition to the Xbox One family as the best drone on the planet till date. 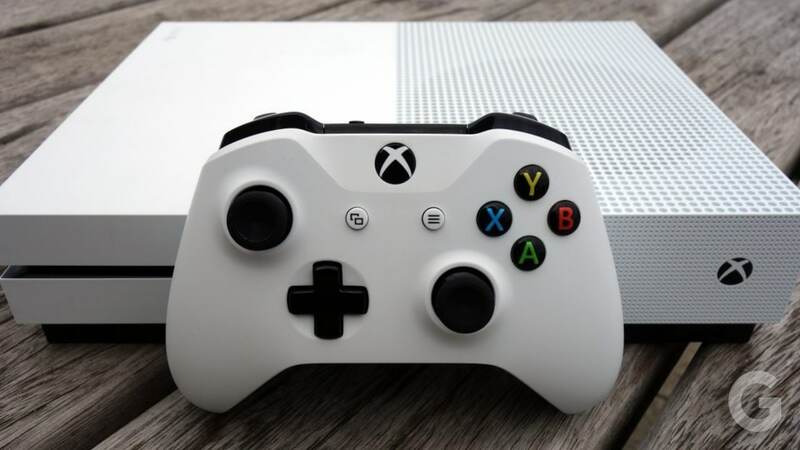 It represents a major performance boost over the Xbox One S and is geared towards people who want to see their games at the best quality possible on the console. The One X plays some titles in native 4K resolution – and sometimes at 60 fps. It’s capable of HDR playback for games in the HDR10 format and supports Dolby Vision video streaming, too. The Xbox One X allows you to capture screenshots and record 30-second video clips in 4K. While it’s a nice touch, the functionality feels extremely limited. 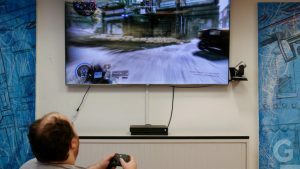 The Xbox One X is the best console for playing popular multi-platform games. Though the price is pretty high, the hardware is impressive enough to make it feel like money well spent. 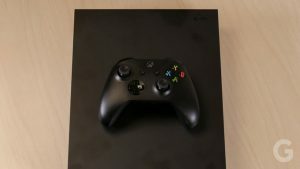 The Xbox One X Design is nearly identical to that of the Xbox One S. The physical point of difference which you can find is the difference in color. The One S was white in color whereas the One X is space grey in color. The One X is a rectangular box the size of a large Blu-ray player that’s coated with a matte space grey color. It’s not bulky like the original Xbox One. Its design becomes more impressive when you consider what features the small hood holds. Now, it doesn’t have an exhaust fan on the top, instead, there’s a wide exhaust at the rear of the console. 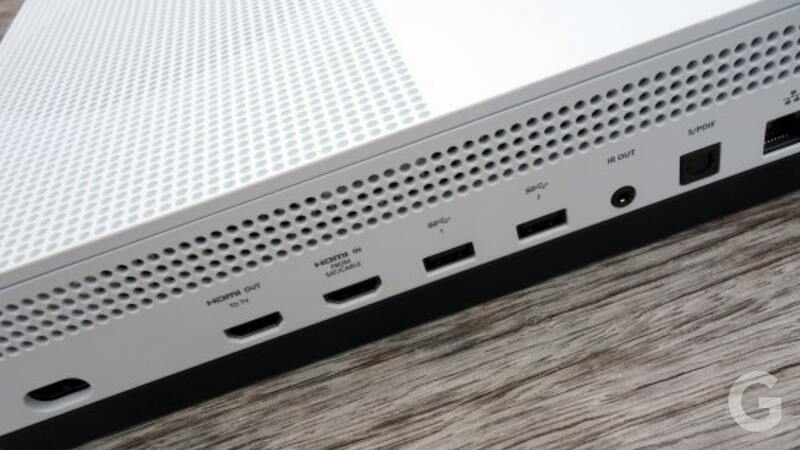 In terms of ports, the setup is exactly the same as the Xbox One S, with most sitting around the back. However, the placement of the IR receiver and front-facing USB port have swapped sides. 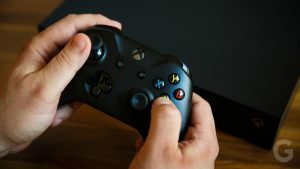 There’s Wi-Fi along with a wireless receiver for controllers as well as a 4K Blu-ray player that functions identically to the one in the S. The sides of the device are covered with small, subtle air holes, as opposed to the One S, which had numerous large fan holes over half of its casing. That should make the Xbox One X easier to stack with other devices without restricting airflow. 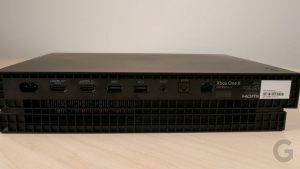 The Xbox One X interface is a sort of mash-up of the Xbox 360 blade design and the Windows 10 block and pins heavy design. The interface’s most unique features are turning the ideas of pins games or apps that you are really attached to into full rows on the Home screen. This row might call attention to DLC, note how close you are to a particular achievement or show you a highlight from Mixer. The console has HDMI in and out, in case you want to filter your TV service through the Xbox and use Cortana to change channels instead of your remote. This feature works exactly as it does on the One S. There are IR-out and S/PDIF ports for advanced surround sound setups and, of course, a good old fashioned Ethernet port. 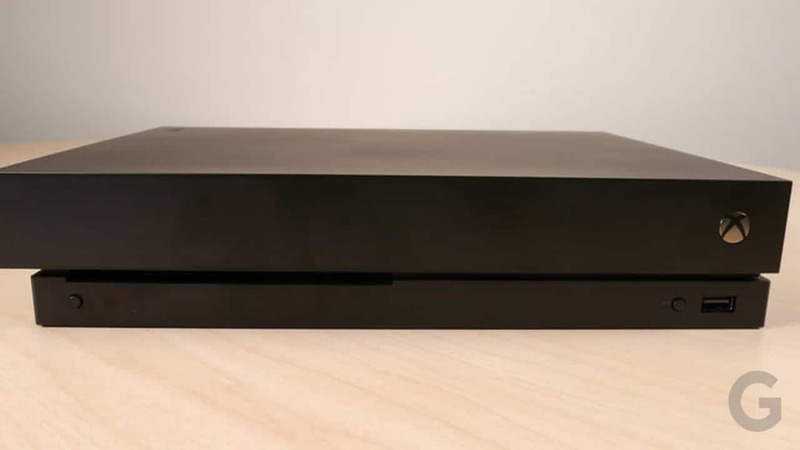 The One X can serve as a 4K UHD Blu-Ray player, game console, and TV streaming box all at once. The console also supports advanced surround sound options, such as Dolby Atmos. The Xbox One X Features also allows you to capture screenshots and record 30-second video clips in 4K. The Xbox One X packs an 8 Core CPU, clocked at 2.3GHz, alongside 12GB of GDDR5 RAM. It also features a GPU clocked at 1172MHz, which gives you a huge 6 teraflops of graphical computing power. There’s 12GB of high-speed memory for the console to use, with around 9GB set aside for games and graphics. The whole lot is cooled by a vapor chamber that channels heat to the rear of the console via a state-changing liquid/gas copper heat pipe, to be deposited in a heatsink and cooled by fans. This is why the One X is able to be so powerful, yet so small. Even though it sounds like a lot of processing power for a console, the One X needs it because it plays some titles in native 4K resolution and sometimes at 60fps. It’s capable of HDR playback for games in the HDR10 format and supports Dolby Vision video streaming, too. It is also the only platform where you’ll find a 4K Blu-ray player built into the box and support for Dolby Atmos, a more immersive audio format than 7.1 surround sound. The Xbox One X Specifications are much like that of One S, but there are places where they differ. The Xbox One X Controller now embraces a new darker gamepad. Though its color has changed from the One S, functionality wise the One X is similar to the One S. It retains the ergonomic shape of the previous model, but the rear now benefits from a more grippy texture. The thumbsticks are also now made of new material. As of the power is concerned, the pad now works on non-rechargeable AAA batteries. It will support keyboard and mouse controls sometime in the near future. This feature will be very much welcomed by gamers who prefer this more accurate and responsive control scheme. The Xbox One X unleashes its full power on a 4K-HDR TV. Games render at up to native 4K, offering offer four times the detail of regular 1080p. Better still, some of those games will have a wider array of color options thanks to a technology called high dynamic range or HDR. 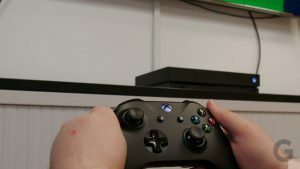 The enhanced for Xbox games do look better on an Xbox One X console, whether you’re connected to a 1080p TV or not. The Xbox One X Performance is great if you compare it with other consoles currently in the market. While games don’t run at a perfect 60 frames per second like you’ll find on mid- to high-end gaming PCs, but most of the time it’s great. If you have a 4K HDR10 TV with a 60Hz refresh rate, the console will automatically detect and adjust your settings. On a system level, though, there are no options to adjust or optimize how the console uses its extra power. Especially for non-4K players, the ability to choose between improving fidelity, smoothing out a framerate, or minimizing load times, would be extremely helpful. The Xbox One X is priced at $500. At this, price it has to be the best gaming console ever and it doesn’t fail to live up to the hype. Currently, in the market, there is not any console which is better than the One X. The Xbox One X Price is higher than that of Sony PS4 Pro. This is because the Pro version lacks in some aspects which the X doesn’t. The $100 higher price of the One X does justice to the functionalities it provides. 🏆 If you have used or if you are using this gaming console, please leave your Xbox One X review in the comments below and help our readers choose.